I don’t know about you, but I love receiving happy mail! There’s something about receiving gifts in the mail. My friends, Dean and Ashley, host the Sweet Progress Box Swap exchange and I look forward to participating each time. I was very excited to be paired with Beth of Coffee Until Cocktails! Beth and I have been getting to know each other online for about a year now. She is such a sweet and witty person, with an infectious love for life! I had a great time shopping for her and was excited to open the box I received from her! Take a look at the goodies I received! Look how well this little duo represents my name! Beth really hit the spot with this one! And look at this fun bunch of goodies! A message of gratefulness which is something I try to remember daily. In fact, over on Instagram, me and other counselors are staying grounded in gratitude by sharing a daily picture representing the gratitude photo challenge. It’s sponsered by @confidentcounselors and the hashtag is #confidentcounselorgratitudechallenge. Be sure to pop over and check it out! Ironically, I was in need of a new nail file and nail polish is always fun! The FUN sign and my initial will work perfectly in my office at work! I might even hang the L on my tree for Christmas! And, did you notice my favorite CHOCOLATE! Surprisingly, I haven’t eaten it yet! Thank you for all my goodies, Beth! I truly enjoyed my box and hope you enjoy everything I sent your way! Yay! 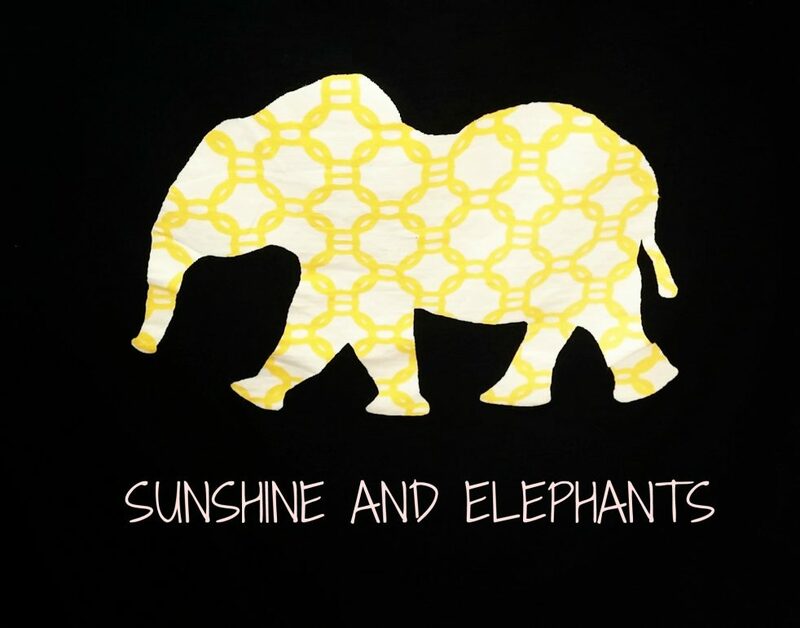 I love that Beth sent you sunshine and elephants, LOL! Can you tell it was my favs? How fun she got you items fitting for your blog name. Such a great batch of goodies. 🙂 I do love swaps; I need to try and take part next round. Yes! Awesome right? I think you need to be joining in again soon! I know! I was so hoping we were matched and we were! I love your witty personality! Beth did such a wonderful job of getting you in a box. Oh how I wish this could come true! And yes, Beth did a great job!